The Rollins MBA is a competitive program designed to provide students a foundation from which to accelerate their career goals, advance in their organizations and succeed in business. The curriculum is designed for all undergraduate majors, and small class sizes ensure personalized attention from senior-level faculty. Students also have the opportunity to work with real companies and take on real business challenges, giving them the practical experience that employers seek. Rollins MBA alumni can take free, faculty-approved MBA courses for life to maintain their competitive advantage. Applicants to Crummer's EMBA program must provide the school with the following: official transcripts for all undergraduate, graduate, and professional schoolwork; an official GMAT score report; statement of purpose; two confidential evaluations; and a resume. Interviews are conducted at the school's invitation. Applicants to the executive MBA prog...Applicants to Crummer's EMBA program must provide the school with the following: official transcripts for all undergraduate, graduate, and professional schoolwork; an official GMAT score report; statement of purpose; two confidential evaluations; and a resume. Interviews are conducted at the school's invitation. Applicants to the executive MBA program must meet all of the above requirements in addition to a required interview and proof of support from their employer. PMBA and SMBA applicants must interview as part of the application process as well. Top Employers Of Graduates From This Program Include: The Walt Disney Co., SAP, Siemens Energy, Fidelity Investments, CNL Financial Group, Inc. 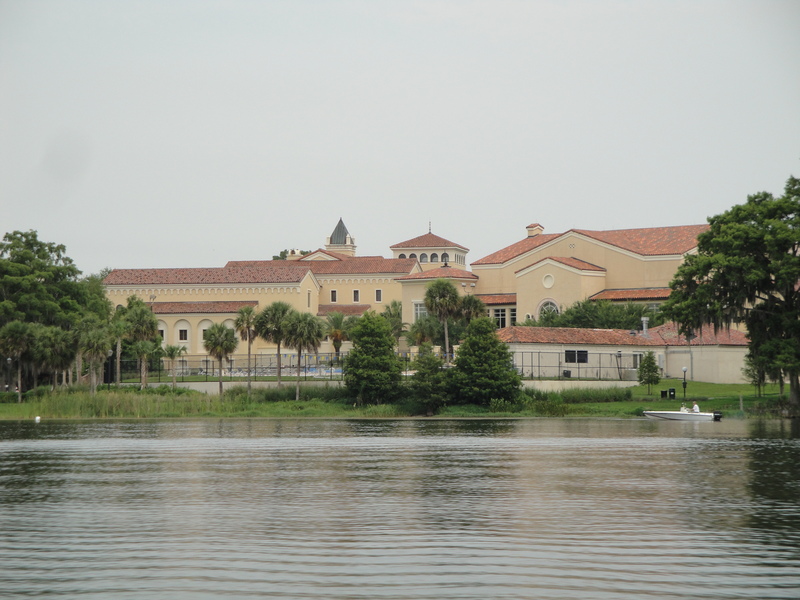 The location of the “beautiful” campus (not far from Orlando) is “fabulous,” and the school's reach into the community is “unparalleled,” as well. The small size (cohorts are typically 30-50 students) creates “a familial atmosphere,” and “you can enjoy your free time near the lake or at swimming pool or just sit and chat with your friends.” Students tend to be focused on class, but “try hard to not let the course load take over their lives.” “Everyone has other things going on outside of school,” says one. Rollins tends to cater to students a few years out of undergrad, so “one of the defining qualities of the school is our youth.” Along with that comes “a bevy of bright ideas, high energy, and a very com­petitive environment.” There “really is room for anything that a student wants to do,” and the administration is happy to assist with club organizations and encourages the forma­tion of new groups. “My overall academic experience has been tough, fair, and very rewarding,” says a student. “Rollins is run like a professional business,” and challenging coursework by day is com­plimented by “social and networking events by night.” The lauded career center is “absolutely essential” in helping students to find internships and jobs, and there are “ample networking opportunities” in this regionally prestigious program. Many agree that quite a few events and resources seem “geared for young, just-graduated students,” and the school could stand to recognize “that there are a lot of returning students. even in the early advantage program.” Because students are not graded on a curve, “there is a strong feeling of camaraderie.” In addition, the alumni network is “small but very strong”: “Most executives in Florida have graduated from Rollins and all are willing to network with students.” Top employers of Rollins grads include The Walt Disney Co., SAP, Siemens Energy, Fidelity Investments, and CNL Financial Group, Inc.
Executive MBA Program (for mid to senior level executives) (16 months); Professional MBA Program (evening part-time program) (25 months); Early Advantage MBA Program (program especially designed for younger students with little work experience)- 16 or 20 months. New programs include an Executive Doctorate in Business Administration (3 years), a MS in Management, and a MS in Entrepreneurship; Global Business Consulting Project, Domestic Business Consulting Projects, Crummer SunTrust Portfolio Leadership Recognition Award Program, Ten-hour service requirement to a Not-for-profit Organization, Not-for-profit Board Mentorship Program, and Business Plan & Elevator Pitch Competition. The college's Olin Library has a 24-hour computer lab for internet research and study. The school has also installed a Bloomberg terminal in our Career Center. Student Services can connect students to tutors in quantitative courses such as financial and managerial accounting, finance, and QBA. England - Nottingham University, France-E-M Lyon Business School, Mexico- IPADE Business School, and Italy-MIB School of Management. WomenÂ’s MBA Association (WMBAA) This association seeks to promote community at Crummer while providing opportunities for networking and personal growth. The WMBAA holds monthly meetings and special events throughout the year. Although the focus of this group is on issues women face in business, it also makes an effort to provide valuable insight for all students working through some of the challenges of the Â“real worldÂ”. Membership in this association is open to all Crummer students. Top Employers Of Graduates From This School Include: The Walt Disney Co., SAP, Siemens Energy, Fidelity Investments, CNL Financial Group, Inc.
Want more info about Rollins College, Crummer Graduate School of Business Full Time MBA? Get free advice from education experts and Noodle community members.